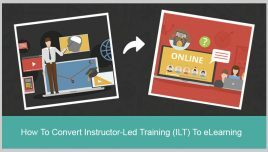 The need for enhanced learner engagement in instructor-led training (ILT) today is stronger than ever and organizations are increasingly looking at active learner participation in instructor-led training deliveries. In this article, I highlight how you can achieve this when you digitize instructor-led training sessions through our eSpace tool. Why You Need To Digitize Instructor-Led Training: What Are The Factors That Are Pushing Organizations To Relook At ILT Delivery? With reduced training and travel budgets, Learning and Development (L&D) teams across the world are being pushed to re-evaluate their existing instructor-led training (ILT) delivery. 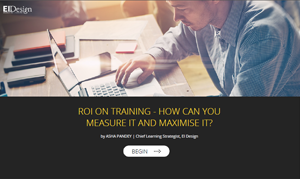 Alongside the reduction of budgets, there is an added pressure to ensure that there is a demonstrable ROI on the training spend. Appeal to varied profiles (particularly Millennials). Adapt to their preferences and learning styles. Are flexible and can be taken “on the go” on the device of their choice (includes smartphones and tablets). 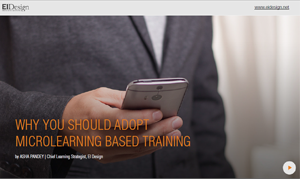 Online training: Particularly mLearning or mobile learning. Digitization of the instructor-led training delivery to maximize the effectiveness of instructor-led and virtual instructor-led training programs. 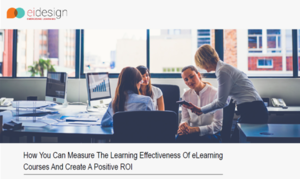 In this article, I will focus on why it makes sense to digitize your instructor-led training delivery and enhance its value and have more engaged learners. I will also outline how this will lead to a higher ROI on your training spend. What Are The Benefits If You Digitize Instructor-Led Training? Have the power of traditional instructor-led training delivery. Multiply the impact by leveraging on the flexibility of online delivery. 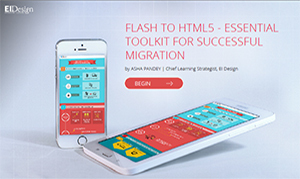 Create highly engaging and interactive learning sessions with your learners. Retain the connect (between learners and between trainers and learners) even after the workshop. Bring in “learning as a continuum”. Extend the learning engagement even after the workshop. I share a case study that features our platform eSpace and how it enables you to go beyond the traditional instructor-led training/blended delivery to a new age digital experience. eSpace retains the edge of the instructor-led training delivery and offers the benefits and flexibility of online delivery. This unique framework (cloud-based and works on all devices including tablets and smartphones) allows you to offer instructor-led training or blended training through an online platform. 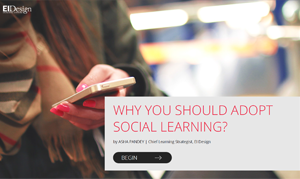 You can create learning paths featuring microlearning nuggets (for blended delivery) and integrate social learning features to provide higher impact learning. Provide access to a single source for material for instructor-led training sessions. Pre-Workshop online material can be shared with learners before the training session. They have an on-going access to it both during and post workshop. They can define the learning path and integrate all job aids required for training acquisition and eventually its application on the job (thereby establishing a performance gain that businesses want to see). There are several features to facilitate communication with groups and individuals. The tool offers different features to take feedback from participants during the training. How Can You Use eSpace To Step Up Your Existing ILT/VILT Delivery? Provides higher learner involvement and ensures active learner participation. Reduces the learners’ inhibition to comment/communicate. Tracks the access to preparatory materials by the participants. Provides an easy approach to maintain documentation, preserve it, and keep it accessible online. Provides easy revision of the information. Enables instructors to do an effective assessment of the learning (more rigorous check-pointing pre/post or during the workshop). Provides easy to implement online post-training support. Enables an easy way to integrate Performance Support at work. How Does eSpace Help Both Instructors And Participants With An Enhanced Learning Experience As Opposed To Traditional Instructor-Led Training Delivery? Our eSpace platform is more than just an online platform to deliver instructor-led training and blended learning. It comes with a host of features that are bound to take your blended learning experience to the next level. 1. Easy To Set Up Plus Use It Beyond The Workshop. 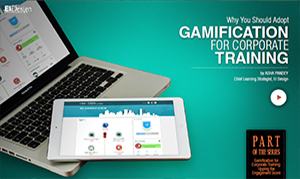 The platform facilitates easy and flexible delivery of learning content. You can use it to share material pre-workshop, during the session, and to offer performance support options post-workshop. The tool is user-friendly and it’s easy to set up sessions and courses. Instructors need not have the in-depth technical know-how to operate the tool as it is easy to use and extremely intuitive. The tool has forums to facilitate communication between learners and instructors alike. Categories of forums can be created with each forum having its own discussion thread. These forums can be moderated as well to ensure that appropriate/relevant content is brought up for discussion. The chat tool comes with features like emoticons and smileys that give the learning a personalized touch. This feature breaks the distance barriers between learners and instructors and helps make learning and interaction as real and effective as possible. 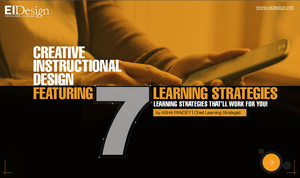 Learner groups can be created and they can be defined at the instructor/administrator level. Learners can be given permission to create their own groups as well. The tool comes with an integrated social network wherein all registered users can create their own profile, search for people, send invitations, make friends, send messages, and create groups on different topics. Learners can exchange links and bookmarks and also link their social network profile to Facebook, Twitter, LinkedIn, and other external social network platforms. Instructors can send announcements to learners through emails, text, images, videos, links, and so on. They also have the flexibility to send announcements or messages globally or to individual learners. These announcements will be visible to learners as soon as they log in to the platform. The personal notes tool is available to learners to take notes on the courses they are taking. The tool facilitates setting up of events, meetings, assessments, and so on in the course agenda. Learners can receive updates when there are changes to their personal calendar and synchronize the calendar with the course agenda. Learners can log in and enroll themselves in the course of their choice. Learners can be given teacher/instructor rights. They can be made tutors and allowed to create course content. Learners can use the search option to look for a specific course content. The tool allows learners to experience bite-sized learning in the form of microlearning nuggets. Their nuggets can also be used as effective Performance Support Tools to convert acquisition of knowledge to the application of knowledge. Instructors can use these to track the presence of learners for the courses they take. Learners can upload their assignments in the Assignment section. The tool comes with an in-built feature that facilitates the creation of various types of quizzes (SAMC, MAMC, Fill in the Blanks, and so on). The details of how the learners have performed in the quiz can be tracked through the dashboard statistics, giving a clear picture of the percentage of learners who have passed or failed the tests. These can be sent to registered users as well as others through their email addresses. The statistics related to the data provided by the respondents is graphically represented. Scores and grades that the learners have obtained are made available on the assignment tool. Insights on learner progress, activity, the time they logged in, results, scores, and so on are available on the dashboard. These appeal to different learning types and come in different forms. Document upload, management, and sharing. The tool not only facilitates easy upload and download of files but sharing of documents through the platform saving the email attachment hassles. The tool lets you take the learning experience mobile and enable the learners to learn from anywhere they want on the device of their choice. The tool is SCORM and AICC compatible. Import of any type of content. The tool allows importing of content in varied formats and integration of external web content, such as YouTube videos and so on. These can be generated from within the platform by instructors. Multiple users can be added. They can be added manually, individually, or group-wise by the administrator. Learners can choose to operate the tool in the language of their choice. They can choose the language interface of their choice. The platform is currently available in 45 languages. Instructors can make use of course templates in the learning path tool. You can also take a look at this video to know about the features of our eSpace platform and how it can be used to enhance the effectiveness of instructor-led training and blended learning deliveries. I hope this article provides you with insights to help you step up your instructor-led training and blended learning strategy. If you need any further assistance, do contact me at apandey@eidesign.net.